The City of Light seduces first-time visitors with its romantic promenades, grand monuments, and foot-stomping cabarets, but how do you cram all of Paris’ best bits into one trip? Here are our top tips for your first time in the capital of France. 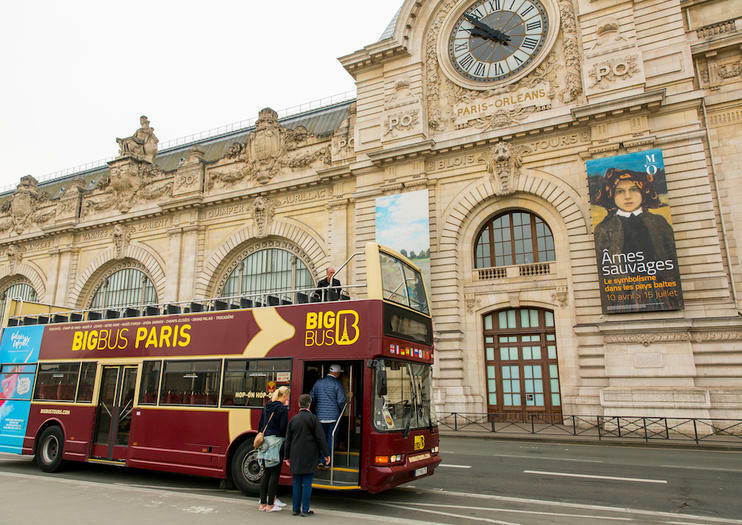 Paris' most popular attractions have long lines to match, so maximize your time by pre-booking skip-the-line entry. Take in the views from the iconic Eiffel Tower, see the Mona Lisa at the Louvre, peek inside the Notre Dame Cathedral, or venture underground to explore the eerie Catacombs. Admire the City of Light from the water on a Seine River cruise and enjoy prime views of the Notre Dame Cathedral, the Louvre, and the Eiffel Tower. For an extra special experience, opt for a romantic lunch or dinner cruise, or take a night cruise and watch the city lights dance across the water. See a show at the Moulin Rouge. Experience the electric atmosphere of an authentic French cabaret with a night at the legendary Moulin Rouge. Attend an unforgettable dinner show and marvel at the extraordinary dancers, glittering costumes, and dramatic French cancan. Visit the Royal Palace of Versailles. If you only have time for one day trip, make it a tour to the magnificent Palace of Versailles. Follow in the footsteps of King Louis XIV and Marie Antoinette, learn the fascinating history of the French Revolution, and watch the spectacular fountain display in the palace gardens. You can't visit Paris without indulging in some delicious French cuisine, but with no time to spare, best skip straight to dessert. Join a tasting tour or take a cooking class, and discover French delights such as croissants, macarons, and crème brûlée. Bon appétit! If you have kids in tow, a visit to Disneyland Paris should be on your must-do list. Meet Mickey, ride Space Mountain, and go behind the scenes of your favorite Disney movies with FASTPASS entry. Enjoy an enchanting evening in the City of Lights on this Paris tour that combines a Seine River cruise, coach tour and a 3-course dinner. During a lamp-lit boat ride on the Seine, admiring famous sights like Notre-Dame and the Eiffel Tower. Then experience the city all lit up during a nighttime sightseeing tour, followed by a late dinner at a restaurant near Paris’ iconic Champs-Elysees.